The expected in-stock date is Friday, April 26. Product contains milk, wheat, peanut, and soy. Produced in a facility that also processes tree nuts and egg. Our favorite flavors are sure to be their favorites, too! 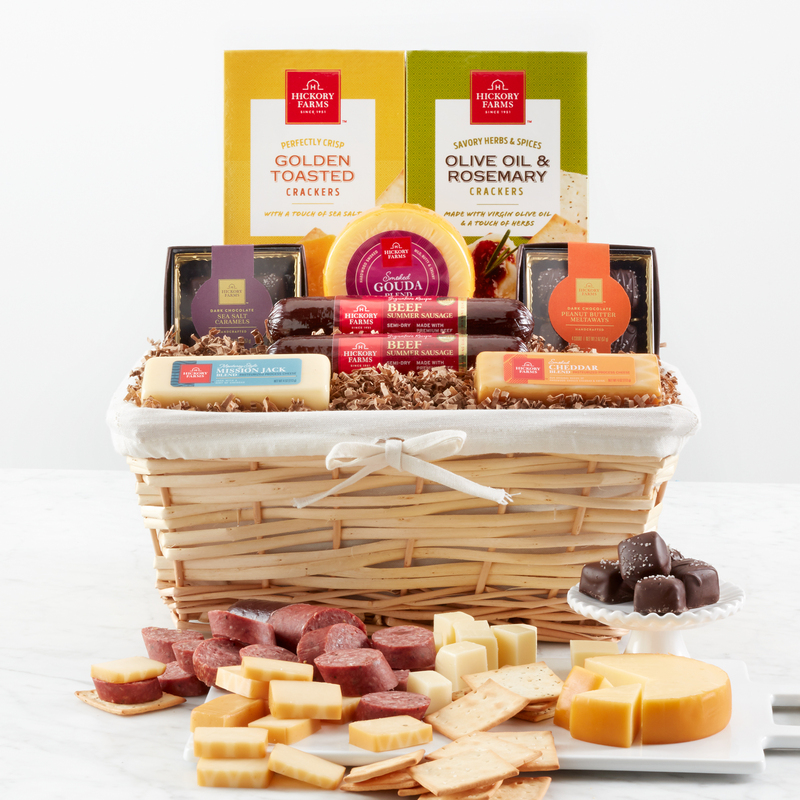 This delicious gift basket is filled with summer sausage, creamy cheeses, and two kinds of crackers so they can create all the combinations they love. Two of our most loved chocolates--Dark Chocolate Peanut Butter Meltaways and Dark Chocolate Sea Salt Caramels--make this a gift anyone would love to dig into! Send this meat and cheese gift basket as a thoughtful gift for any occasion.